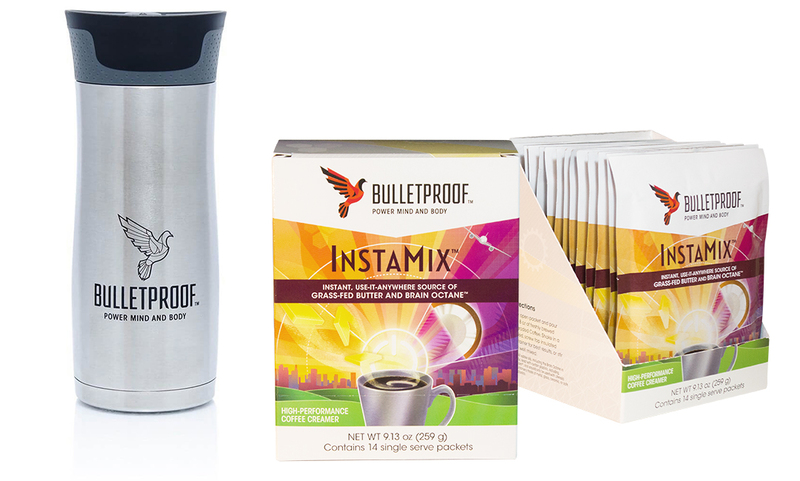 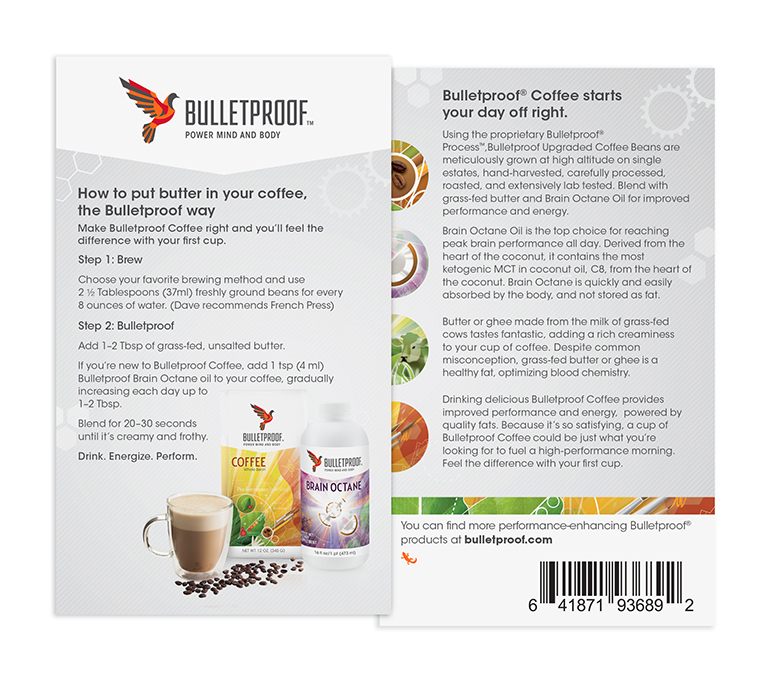 Bulletproof Coffee, combining mold-free coffee with grass-fed butter and Bulletproof Brain Octane, transforms the classic morning beverage into a satisfying breakfast that fuels mind and body with healthy fats. 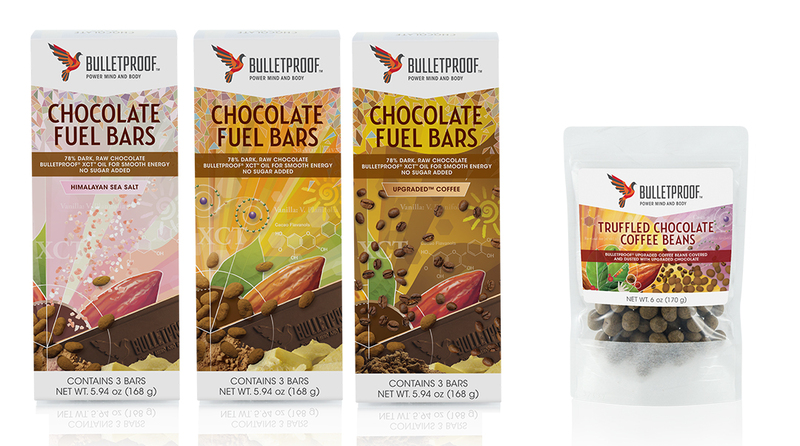 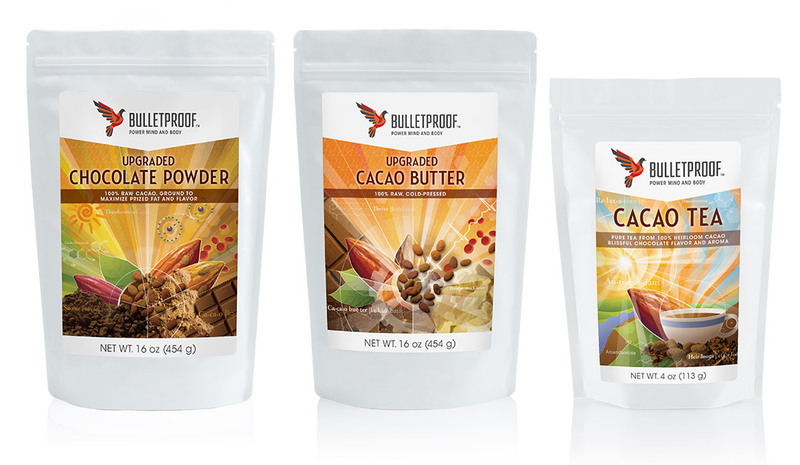 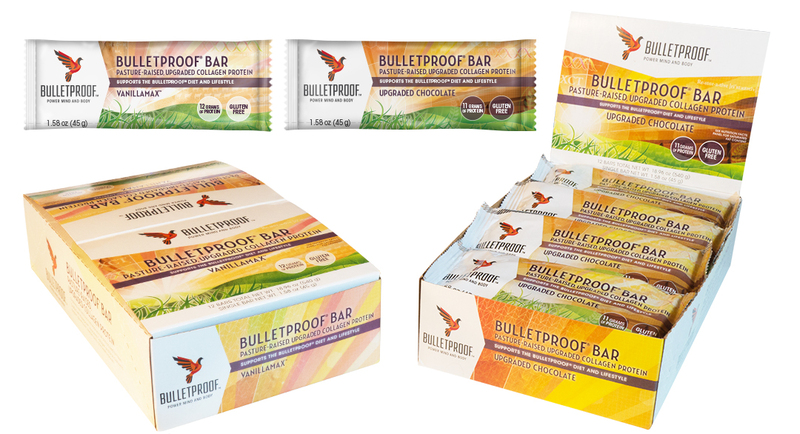 With huge momentum behind this idea, Bulletproof has grown into a multi-faceted brand, offering foods, supplements, technology and digital content to help people perform their best. 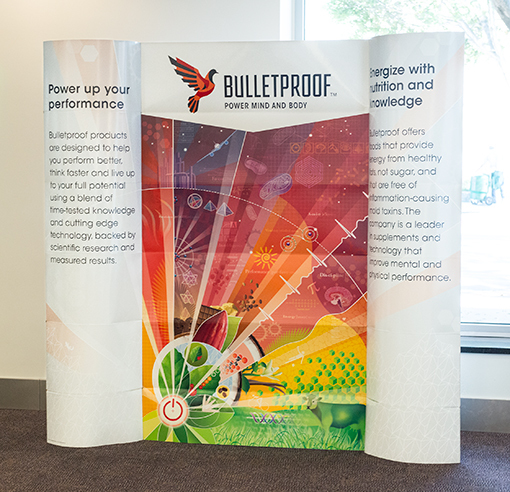 Bulletproof asked Vertetude to develop a brand strategy for its divisions and create a dynamic brand communication system including graphic identity, packaging, collateral, web site design, and retail display. 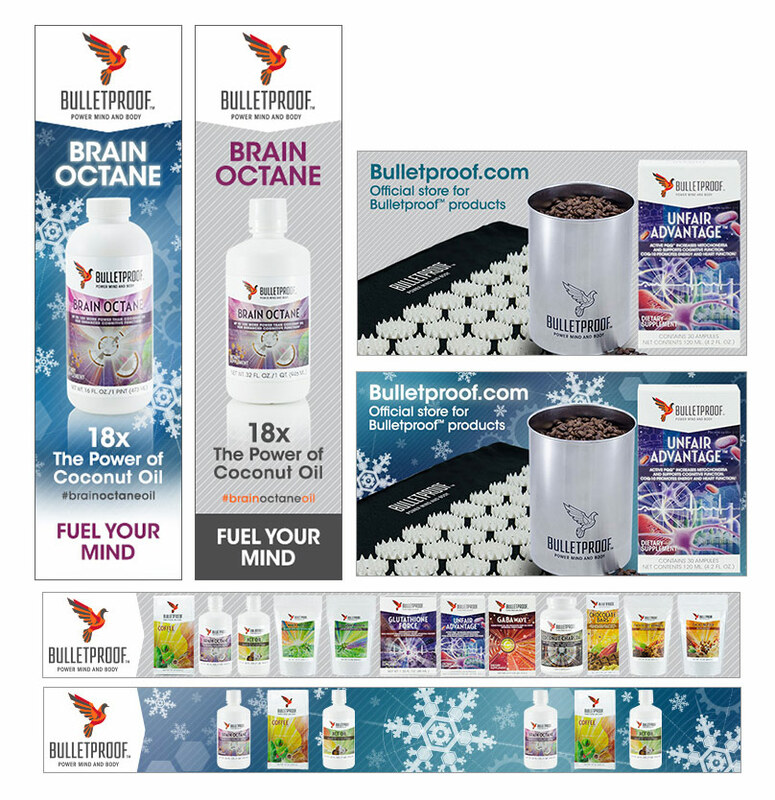 The dove in flight represents the ability to reach beyond current bounds and limitations to achieve more than we thought possible through health, resilience and vitality. 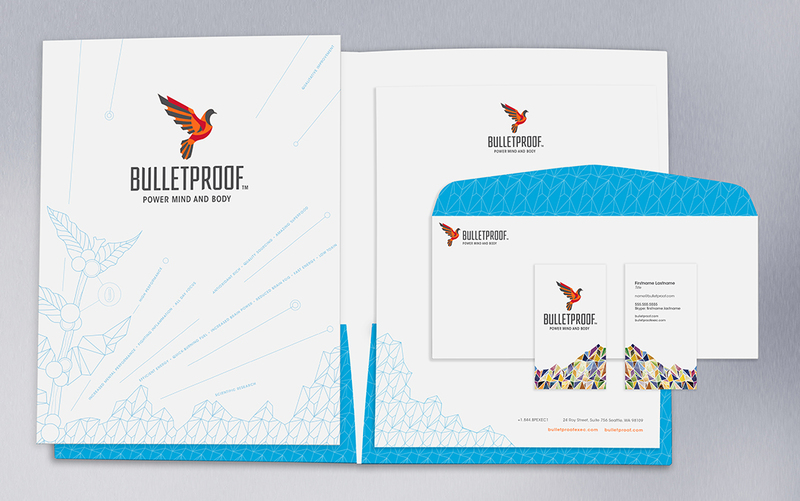 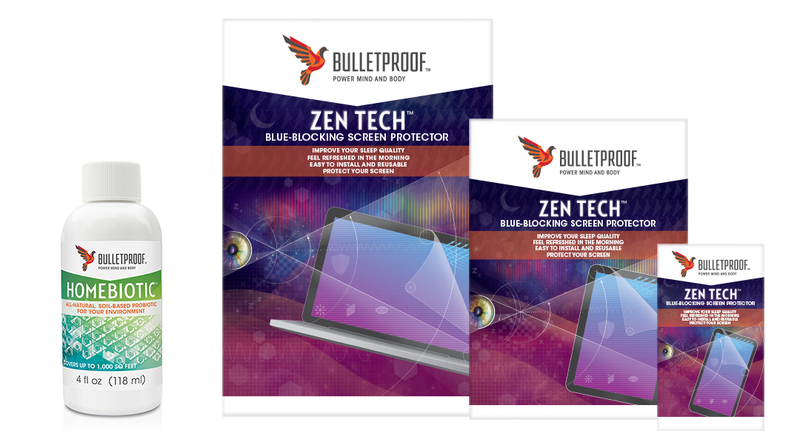 The combination of the dove and the word Bulletproof creates a new way to look at human potential and delivers a unique, eye-catching and protectable visual asset for the brand. 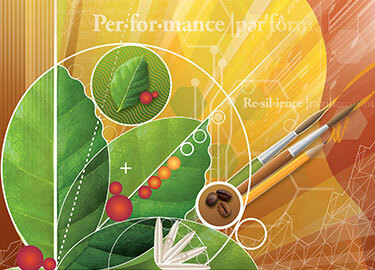 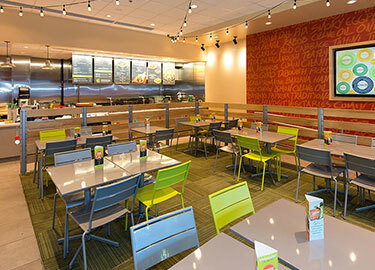 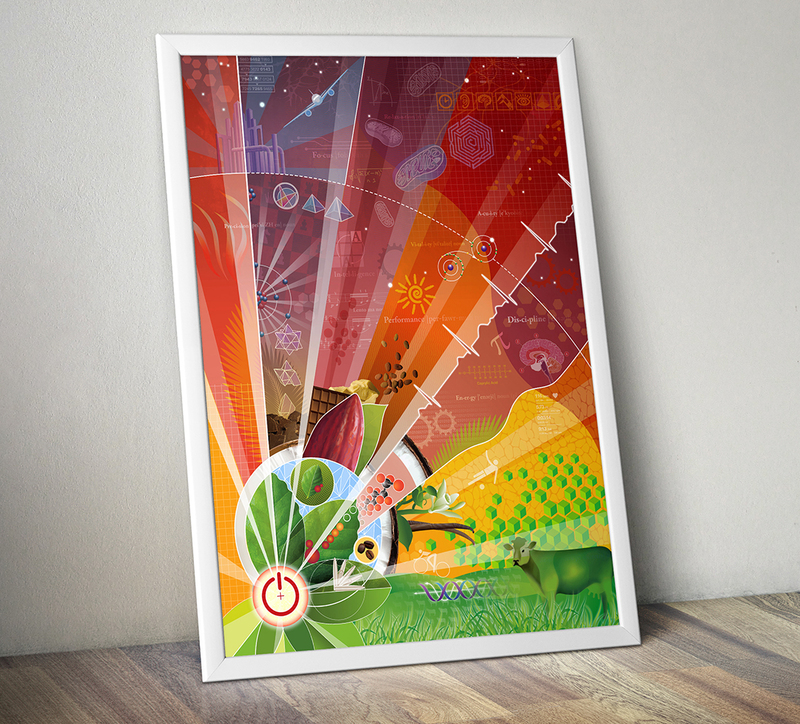 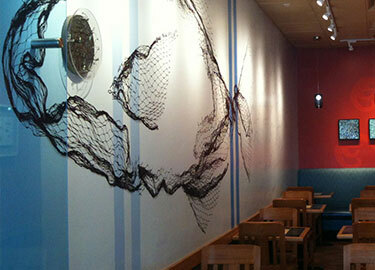 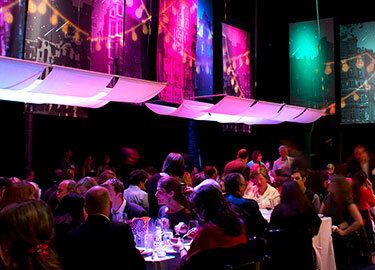 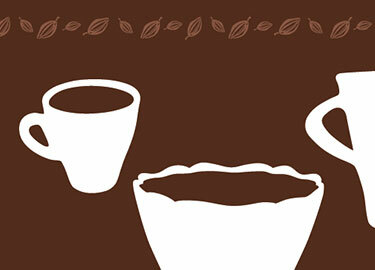 The warm colors signify energy and vitality and our appetite for what is good and sustains us. 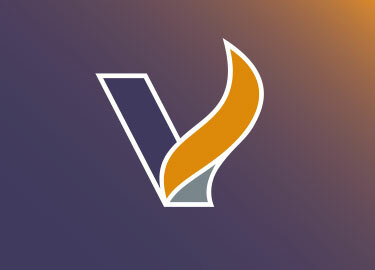 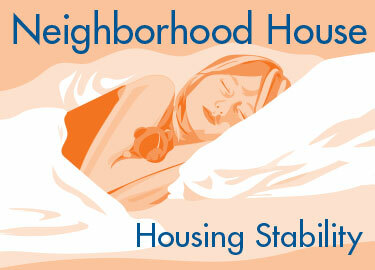 Including orange provides visual continuity between the original logo and the new. 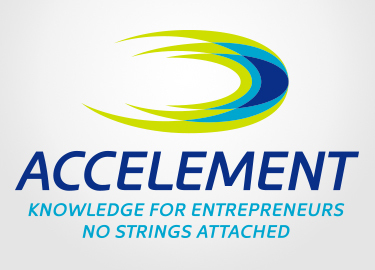 The logo also provides a strong visual foundation for design of the brand elements across products, sales channels and markets. 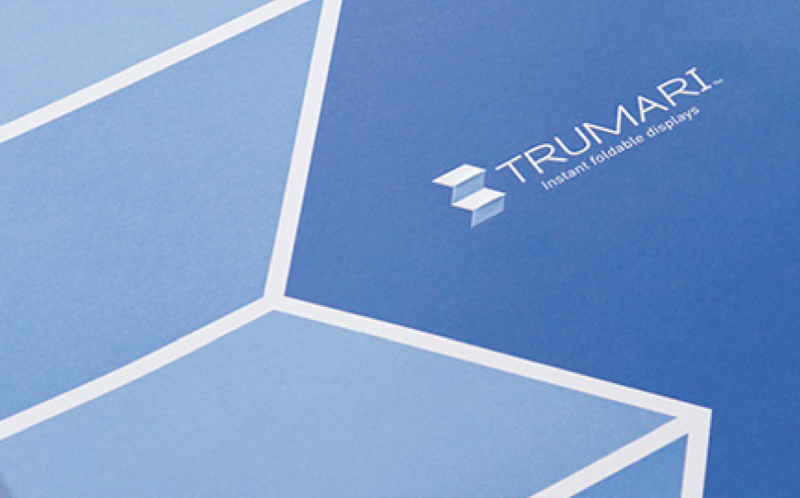 Ultimately, the new identity sets up the brand for its next phase of exponential growth. 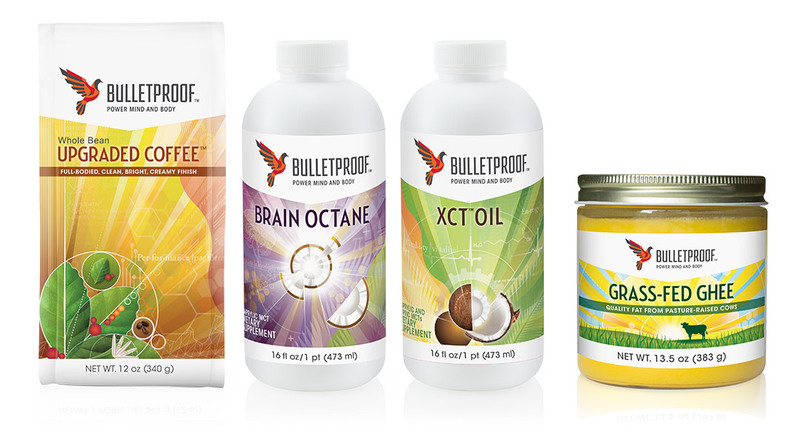 The support line, Power Mind and Body, emphasizes the importance that Bulletproof places on mental performance as well as physical achievement. 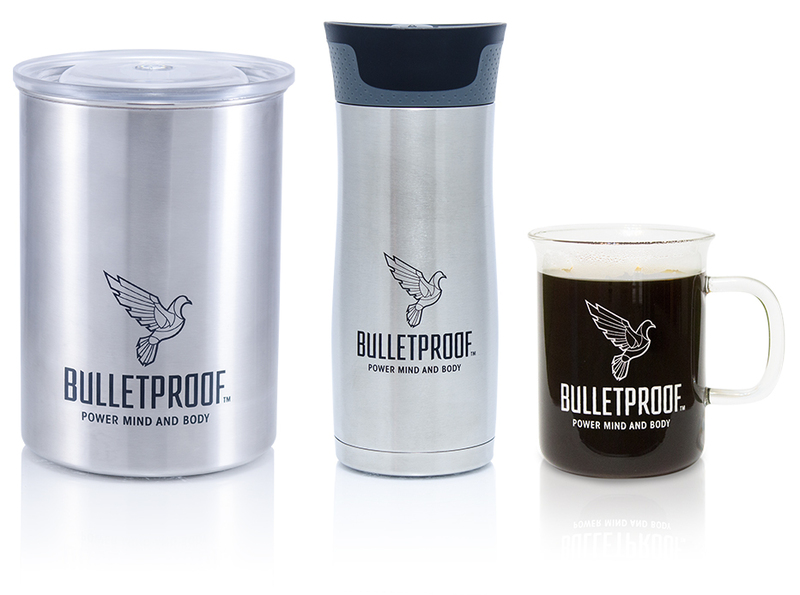 We designed the packaging system to distinguish Bulletproof products, including Bulletproof Coffee, by focusing on science and nature. 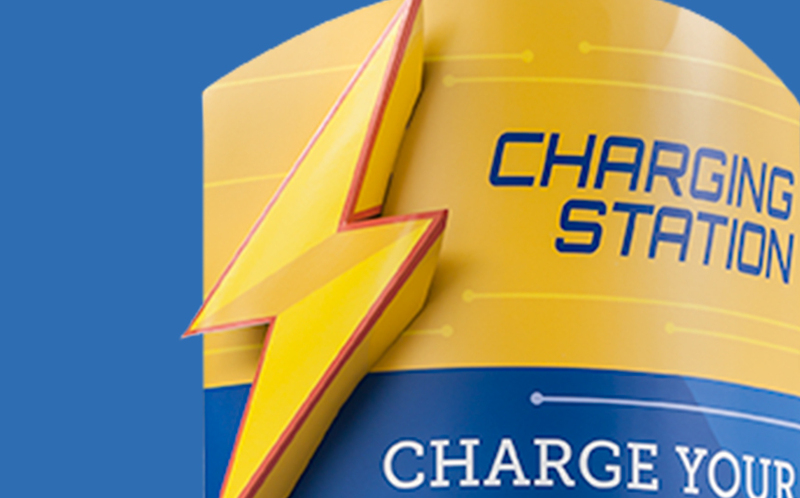 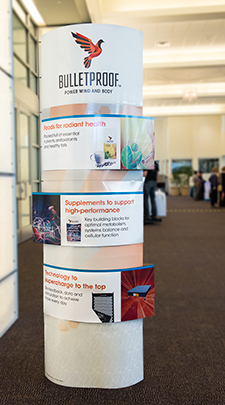 On each label, energy radiates from natural sources, signifying the fuel needed to power a high-performing mind and body. 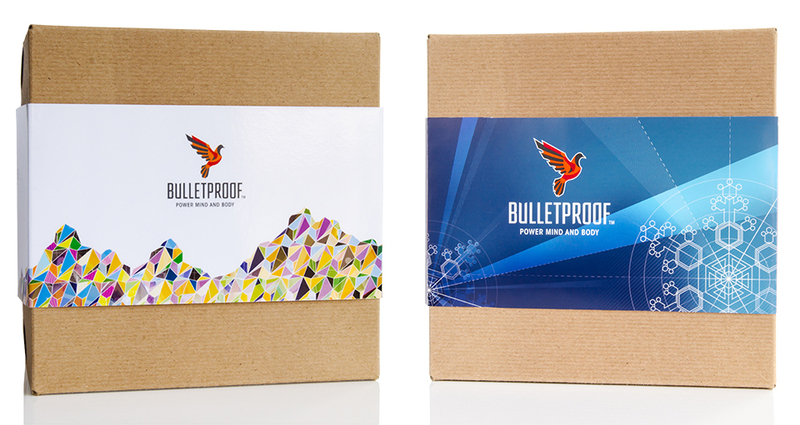 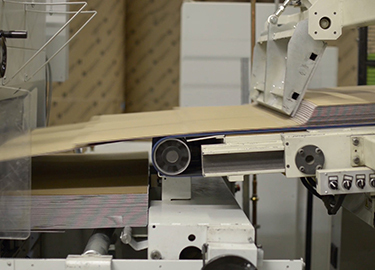 As the company expands its reach beyond the United States, we have localized the Bulletproof packaging system for international markets. 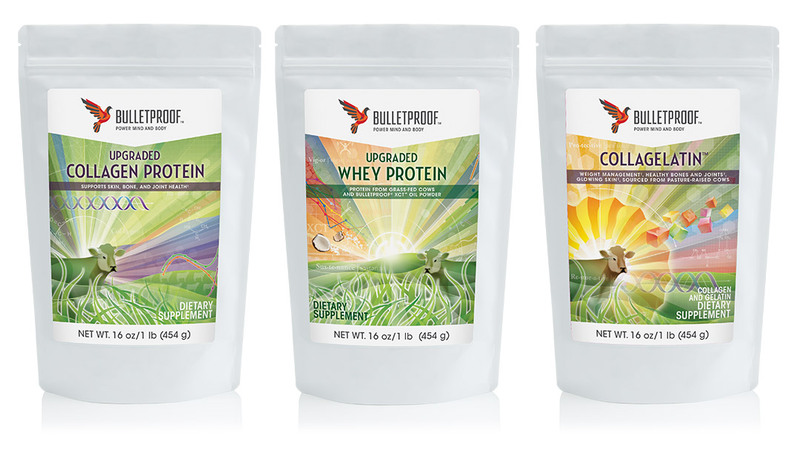 We collaborated with Todd Connor of Yellow Plum Design, to illustrate the artwork for each label based on our concept sketches. 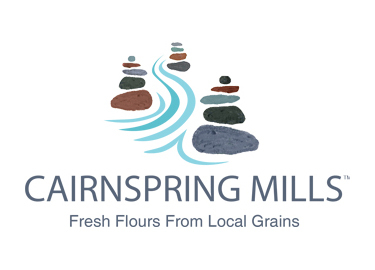 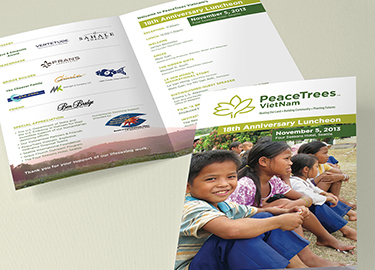 The visual vocabulary for the brand is applied to a wide range of communication and educational materials from brochures to recipe cards and product flyers. 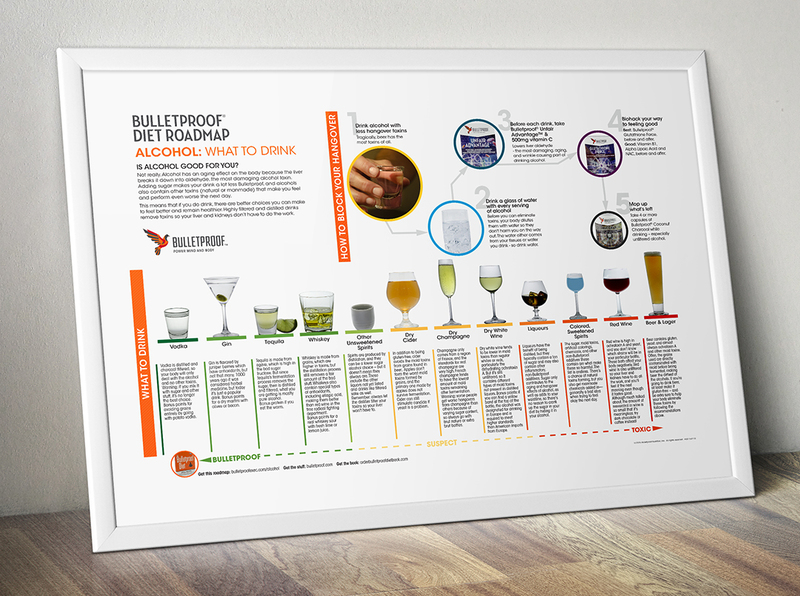 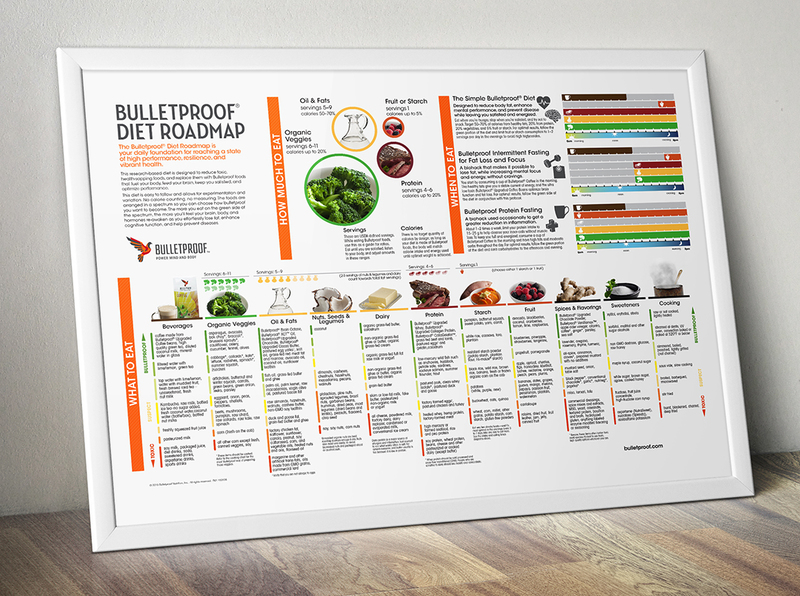 Vertetude designed the Bulletproof Diet Roadmap to quickly communicate the guidelines for what to eat, when to eat and how much to eat within the Bulletproof system. 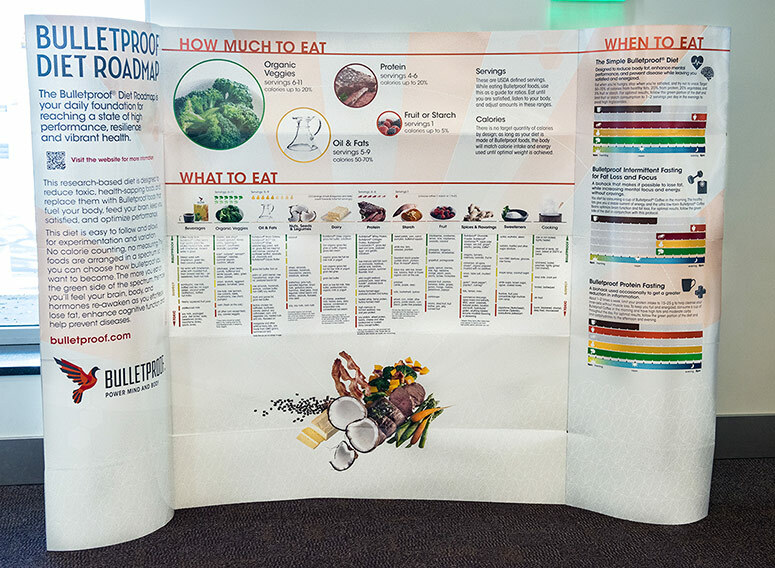 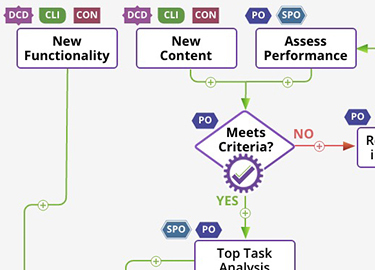 The design challenge was to fit complex information in a small space, keeping it readable and simple to follow. 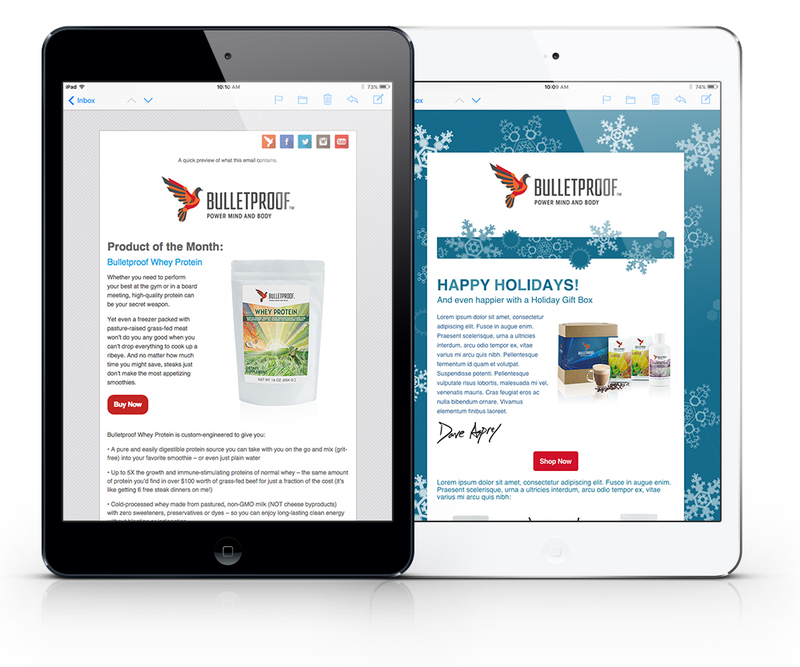 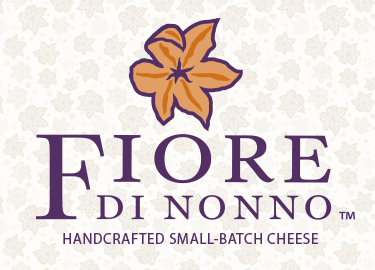 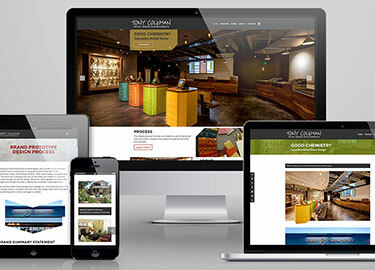 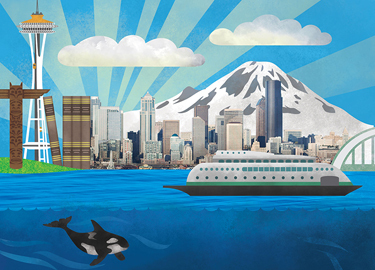 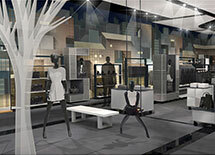 We designed a variety of digital media and advertising to introduce the updated brand identity and new product offerings. 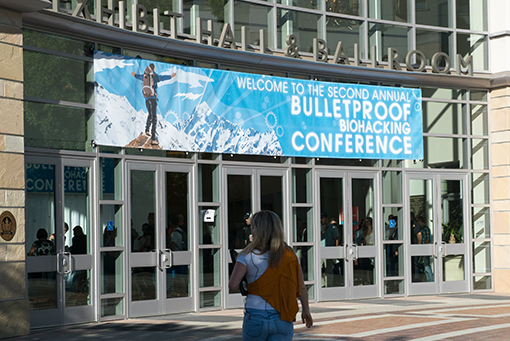 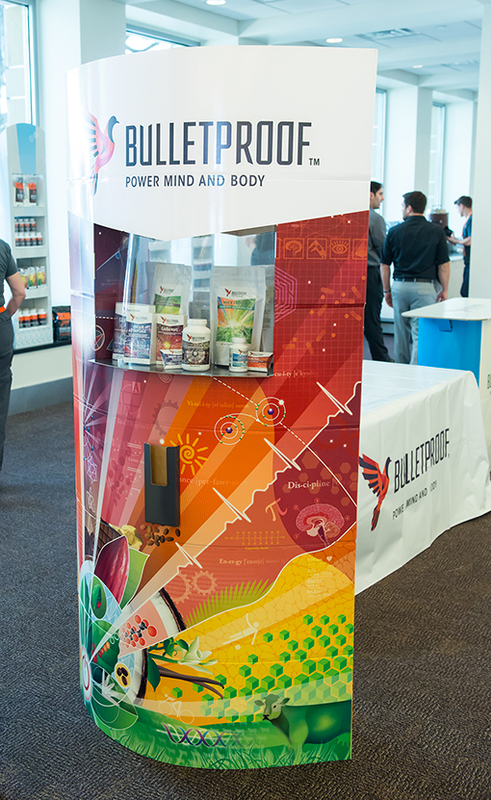 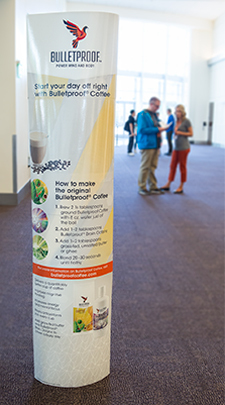 In September 2014, Bulletproof hosted its second annual Biohacking Conference in the Pasadena Convention Center. 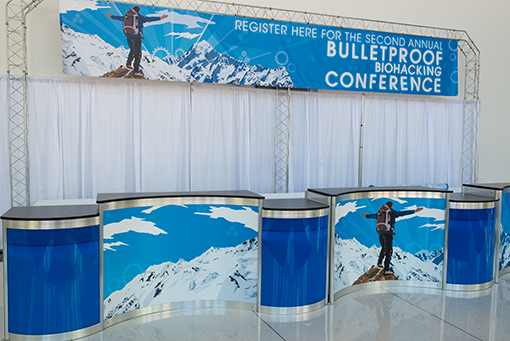 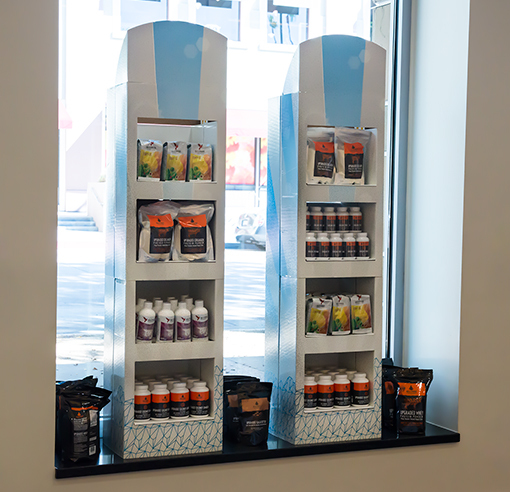 Vertetude designed the conference, as well as a pop-up shop and merchandising displays to introduce the new brand identity and packaging to the core Bulletproof audience.